In such an instance, the court would appoint an administrator to handle your estate. Personal representative is another term used to describe the administrator or executor appointed to handle an estate. Simpler procedures are available for transferring property to a spouse or for handling estates in which the total assets amount to less than $50,000. 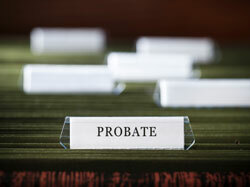 The probate process has advantages and disadvantages. The probate court is accustomed to resolving disputes about the distribution of assets fairly quickly through a process with defined rules. In addition, the probate court reviews the personal representative’s handling of each estate, which can help protect the beneficiaries’ interests.